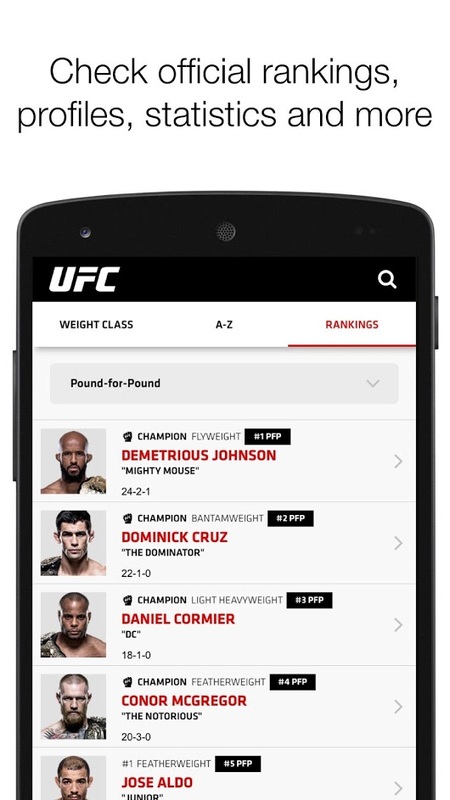 The Ultimate Fighting Championship app is out for fans. 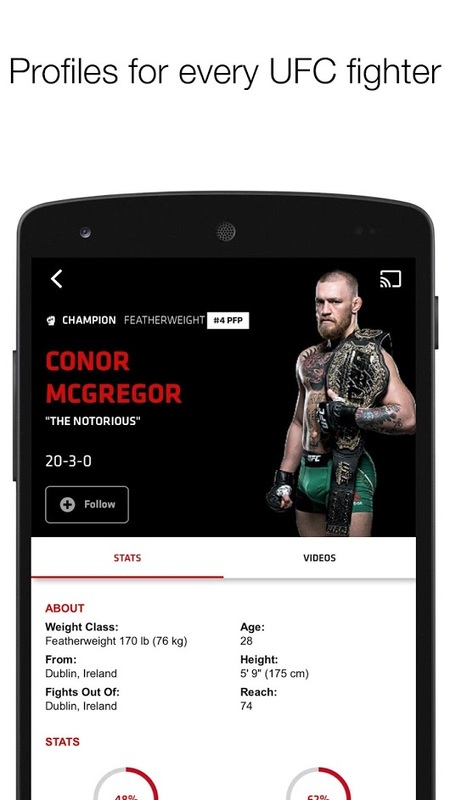 Follow your favourite fighters anywhere with your smartphone or cast it to any TV with Chromecast device! Are you on McGregor side? Probably do you preffer Díaz? Or women UFC Ronda Rousey? Maybe Holly Holm? It doesn’t matter, you will be able to watch all combats and met new fighters anytime! 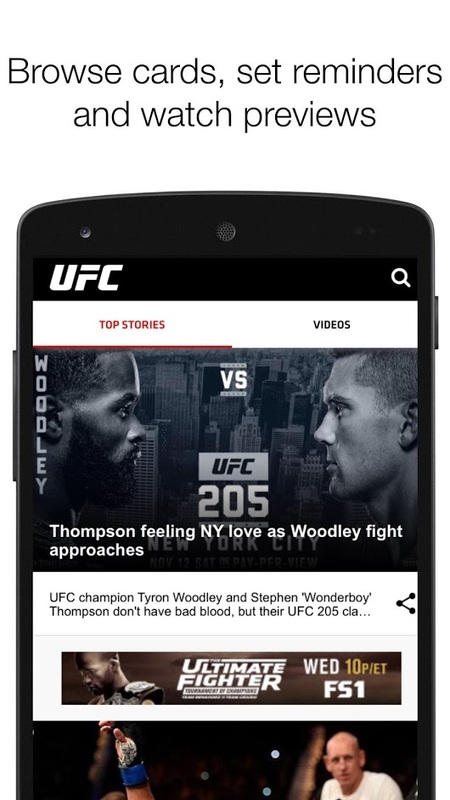 This app is free to download and have access to some content, but maybe you will need to pay for some events or suscribe to get full access to what this app can offer to you, like: UFC Fight Nights, the UFC Fight Library and Replays of past pay-per-view events, TV shows, and original content. Press Conferences and Weigh-ins live. View Fighter profiles of your favorite UFC fighters and get the latest News and TV Schedule.